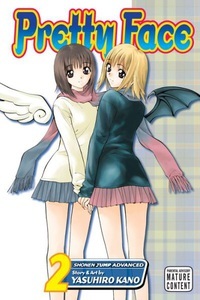 The Face of an Angel…The Fake Breasts of a Devil!Rando struggles to be a good "big sister" to Rina as fate conspires to put him in one disastrous situation after another. When pants start coming off, and half-naked women start crawling all over him for the thinnest of reasons, Rando must use all his karate wiles to avoid being exposed as a complete weirdo. Meanwhile, will the mad Dr. Manabe succeed in his plan to remove the last remnants of Rando's manhood...or will Rando remove Dr. Manabe's brains with his fist? It's 7.5 inches of manga heaven!